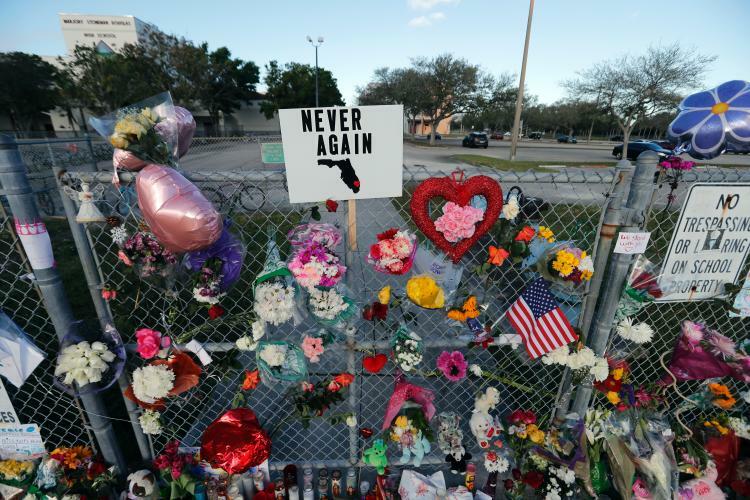 Last Wednesday, news of the terrible tragedy at Parkland’s Marjory Stoneman Douglas High School spread throughout the nation. Seventeen students’ lives were violently stolen in a senseless act of murder, brothers were left without their brothers, sisters were left without their sisters, and families were left with an irreplaceable void in their lives. Hundreds of students’ lives were forever changed, and yet, very little has changed. While proposals have been made to raise the legal age at which someone can purchase a gun, the various mass shootings that have occurred throughout the U.S. over the years have suggested that age is not the central issue; no matter the age of the person, the presence of guns in the US has made it a possibility for anyone to pose a threat to a large group of people. While banning bump stocks would make weapons slightly less lethal, guns can easily inflict damage at a rate faster than any other weapon. While expanding resources on mental health is important regardless of the current events, to place the blame entirely on that and to say that mental health screens are a solution is to suggest that all citizens who struggle with mental health are dangerous. While solutions are being proposed, very little is new, and by the time they decide to stop talking about it, it would be because they have chosen to forget. In a nation once revered for its freedoms and rights, there never should have been argued that the second amendment should have the power to exist at the risk of citizens’ rights to life, liberty, and the pursuit of happiness. In a nation where freedom of speech is prized, the cries of victims of school shootings should not be ignored and called “actors” because of their age and emotional responses, but rather valued because of their experiences and bravery. In a nation that used to call itself the greatest in the world, mental health should not be blamed or stigmatized in the place of practices that keep people living in fear and constant vulnerability. Where a nation’s job is to protect its people, there should never have been the case where children and teenagers are forced to speak up in the hopes that their friends would no longer learn about death in spaces designed to learn about math and science and English and history. The terrible truth of the matter is that change is not going to come easily. America’s response to the Florida shooting shows what America could be as well as what America has become. The way students put aside their own trauma and used their voices to protest a tragedy that never should have been shows the side that makes everyone proud to be American. Their courage and determination have begun to emphasize the cowardice of inaction and attempts to divert the blame, showing what America’s future could be.